Tom Briscoe's cartooning career began in the 5th grade, drawing in the idle moments between classes. Since then, he has served as an editorial cartoonist for The Samford Crimson and The Southern Times. Briscoe's latest work is Small World, a comic strip on politics, culture and modern life. The feature appears in The Birmingham Weekly and is syndicated online at GoComics.com. 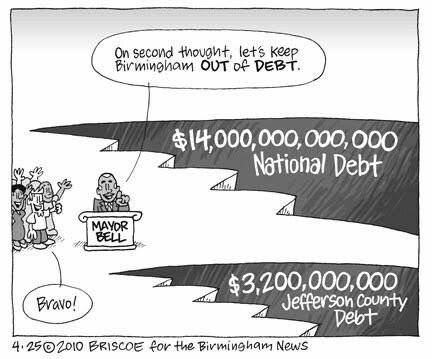 Briscoe is now back into editorial cartooning, covering local issues as a freelance cartoonist for The Birmingham News.